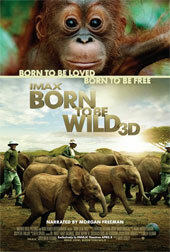 Born to be Wild 3D is the passionate story of two women from two totally different parts of the world but they share one thing in the common, the continued survival of the animal orphans that they care for. Directed by renowned wildlife director, David Lickley, he takes the viewer on an amazing journey as we follow these two committed women, primatologist Dr. Birute Galdikas through the rainforests of Borneo and elephant authority Dame Daphne Sheldrick across the rugged Kenyan savannah. Narrated by Academy Award winner Morgan Freeman, he lends his voice and spirit to the movie that although at times feels like two separate films, the shared theme of orphaned orangutans and elephants is to the perfect catalyst to truly drawn you into this heart-felt and uplifting movie. Unfortunately there is a disturbing message behind this documentary and due to mans continued expansion in the world, as a collective we have threatened the environments where these animals live. 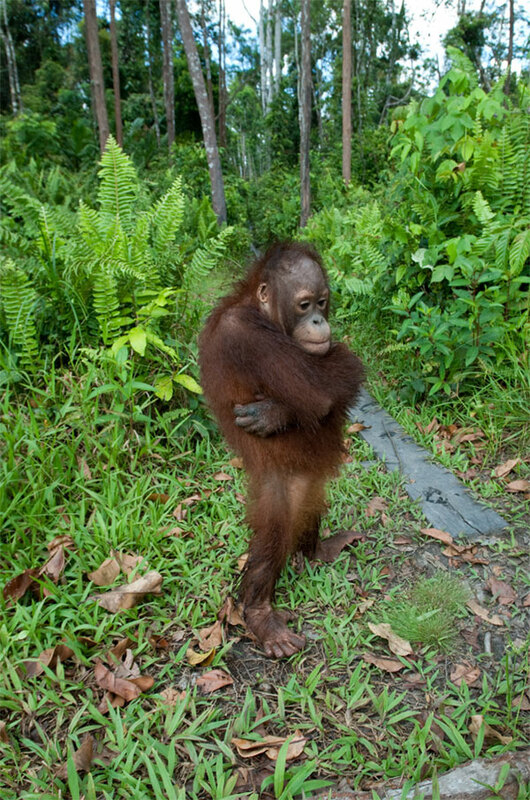 In Borneo, Dr. Birute Galdikas and her dedicated team cares for orphaned orangutans like they are their own children. Using women as surrogate mothers for these primates, the goal is to rehabilitate and free them into the remote jungles of Borneo. By keeping their domestication to a minimum, they will retain enough of their wildness to be able to fend for themselves when the day comes for them to leave. According to Galdikas , orangutans leave their mother around the age of 7 or 8 and her team carefully monitors their progress in order to ensure the best possible success. It's also quite a colourful experience to watch because at times, these orangutans act like naughty children. Half way across the world, the viewer is taken to Dame Daphne Sheldrick who has dedicated her life to protecting orphaned elephants and caring for them until they can be finally released into the wild. It took Sheldrick years to perfect the milk formula for elephant calf's and her team must painstakingly ensure that they are fed in order for them to grow strong and guarantee their continued survival. 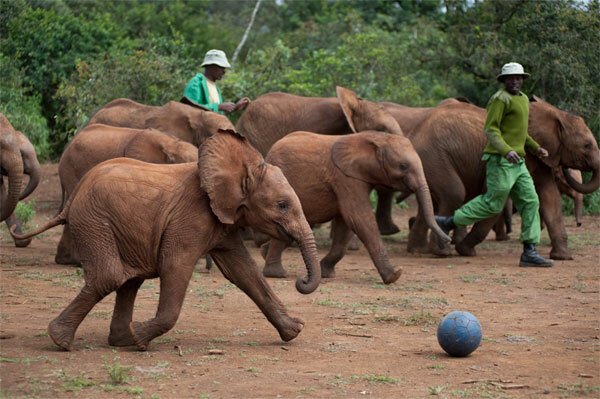 Elephants have a long memory and some of these calf's have been left orphaned by poachers and learning to trust humans again is a difficult but possible journey. Eventually they do come to trust humans again as their new leaders in the herd. However, the most remarkable aspect of Sheldrick's journey is that some of the adult orphans cared for by her team actually come back to take the next lot under their wings. It's truly a remarkable sight to behold. Born to be Wild 3D will unleash a wealth of emotions inside you from happiness to sadness as you form a bond with these amazing, almost human-like creatures. The 3D IMAX presentation truly enhances the experience as you could almost reach out and touch these baby animals. It's easily one of the best 3D experiences that I've had the pleasure of watching on IMAX that is made equally more entertaining by the perfect narration of Morgan Freeman. If there's one movie you see all year, Born to be Wild 3D is that movie and the only drawback for me was that it was a little too short. Nonetheless, what an amazing story!